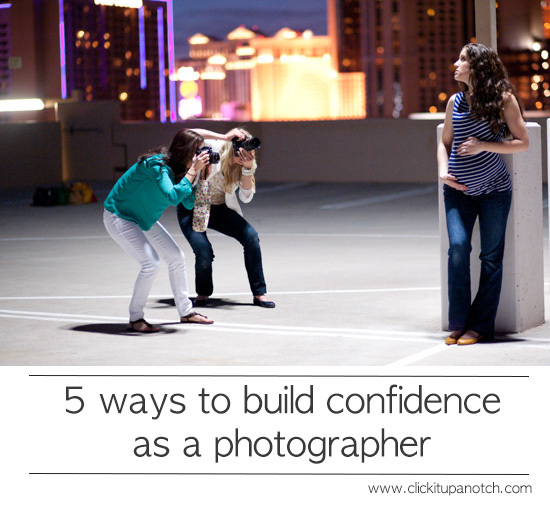 Let’s talk about confidence and some ways we can help boost it as photographers. Even if you try to copy every element employed by another photographer, a little piece of you is always there. Instead of trying to mold yourself into someone else, embrace what YOU bring to the table with your unique talents, perspectives and life experiences. There is no one in the world that has EVER lived life the way you have. Think about that for a few minutes. In all the history of ALL OF THE WORLD, there has never been anyone exactly like you. That is amazing. Bring that to bear on your photographs. Show the world how and what you see. I can’t stress this one enough. There is no difference between beginner and master. The only thing that spans the space between them is practice. There is no magical formula that is going to transform you in the photographer you aspire to be other than practice. What do I mean by practice? Constant dedication to that which you desire to attain. It can mean reading tutorials, shooting, editing, taking a workshop…it simply means working at getting better. I could not be a bigger proponent of taking a photo a day for an entire year (Project 365) I decided the moment I bought my first DSLR that I would commit to doing that. Some days I took ridiculously stupid pictures just to say I took one. But at the end of the year, I can’t tell you how great it felt to know that I had set a goal and accomplished it. I think it’s hard to find a confidence booster bigger than that. Hard work paying off often has that affect. Create luck for someone else. 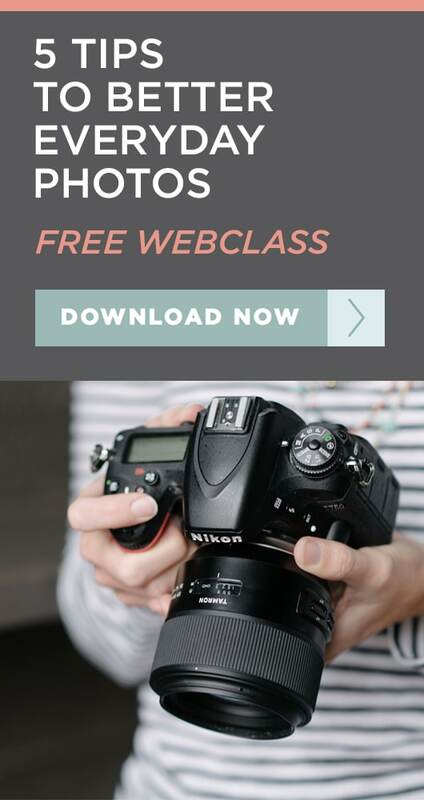 We all want our photos to be “chosen” as a weekly favorite or showcased on a popular blog. It feels good to be recognized for our work. But I’ll let you in on a big secret. It feels even better to do that for someone else. Start “liking” other photographers pages. Give them a compliment on their photos. Showcase THEIR work on your page. Do you know a fellow photographer who is struggling to grasp a concept that you are an expert at? Help them! And watch how that makes YOU feel to see them appreciate you taking the time to invest in them. Take a class or workshop and BE active with the other participants. For a long time, I kept my photography to myself and very close friends and family. 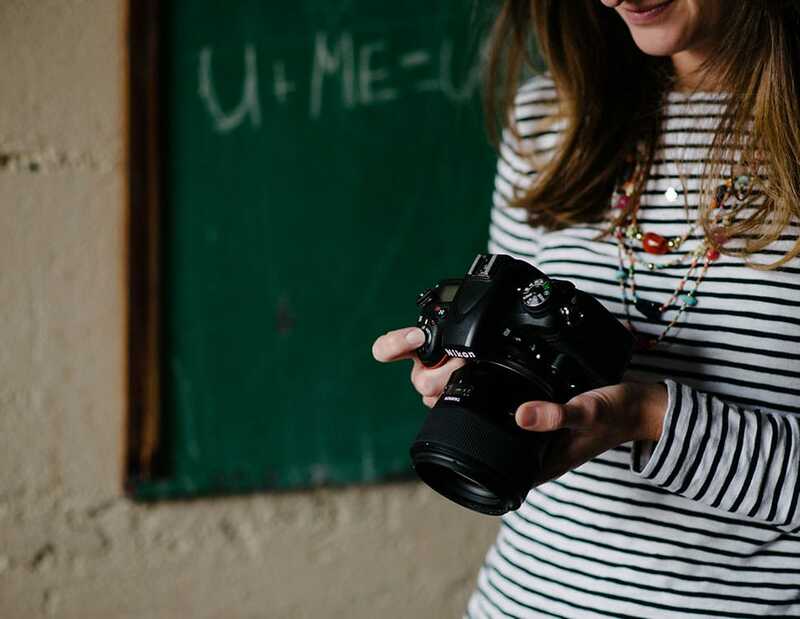 Sharing your work through workshops and classes is a great way to connect with fellow photographers who are interested in furthering the same skillset you are. I have taken several workshops at Clickin Moms and have formed dozens of friendships online a result of sharing the learning experience together. We continue to be a part of each other’s journey long after the class has ended. I can count on them to provide encouragement when I need it or constructive criticism when I ask for help. Being surrounded by a supportive group of photographers does wonders for your confidence. This is one of my all- time favorite quotes (it is cited to several different people—so I’ll go with it’s an ancient Chinese proverb) Here is an example of how I apply this philosophy to my photography. One day, I think I might like to try my hand at wedding photography. But at this season in my life, I am dedicated to being totally present in the lives of my young children and don’t have the time to dedicate to second shooting or anything else necessary to get formal experience. But that’s ok. I have 3 very active children. They love to run. They will run in straight lines towards me ALL DAY if I ask them to. I try to do this in as many lighting situations as possible (inside, outside, shady, overcast and all that I can think of in between) Because when the moment comes for me to shoot that bride walking down the aisle—you can bet it’s going to feel like she is moving in slow motion compared to capturing a fast moving kid coming at me. I will have rehearsed this moment SO many times, it will be a piece of cake. Push yourself when it doesn’t matter and when opportunity knocks, you’ll not only be able to answer the door…you’ll have a dinner party prepared for it! 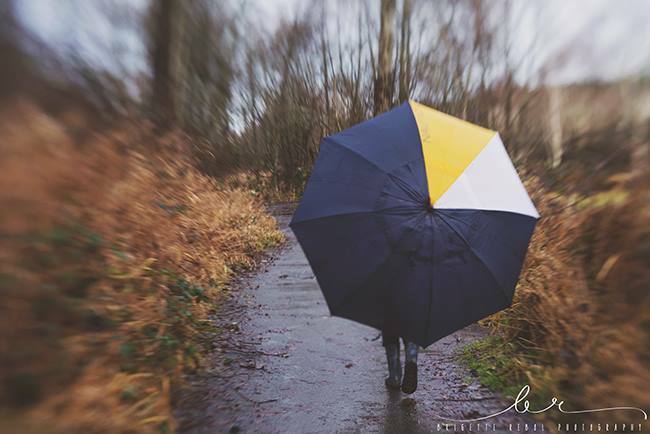 Leave a comment below sharing one way you build your confidence as a photographer. I am a natural light photographer. I spend my days with my 3 “littles” searching for the mundane moments I can make extraordinary through my lenses. I enjoy editing my photos in Lightroom just as much as I love shooting them! On a personal note– I love coffee, reading non-fiction and Justin Timberlake on SNL. I love your comment “A candle loses nothing by lighting another candle.” I have ran into too many photographers who are not willing to share their ideas with others, which can be very frustrating when you are on a learning journey. I hope I can apply this quote to all aspects of my life. I really love all your advice. Way to lift us new photographers up! Practice and practice helps me feel confident! And when I get an image I like I look at it over and over and keep falling in love with it. Then when I’m discouraged when I don’t do so well, I go back and look at the one I love! This is great! I was feeling so discouraged, but these tips have lifted me up! Thank you! I’m full of questions, always. I ask every photographer “how did you do that?” If I see a fantastic shot, I want to know how…knowledge shouldn’t be hidden, it should be shared. Then when that knowledge is shared, it is followed by a deeper appreciation for how it was gained. Then, I practice practice and yet practice some more. And thank you, this was awesome, and much needed. I was actually sitting yesterday, and trying to figure out if I should keep posting my photography on G+/Fb/etc. I am a 49 year old photography student. I have gotten to the point where I feel lost without my camera. Even if I can’t take my DSLR I have a great point and shoot it always seemed the best photo ops were when I didn’t have my camera, now I am never without one. Brennan! Thank you, thank you! For the article but also for using my image! Seriously. What a great way to start the weekend. :) Such a great article! Such a lovely post! Thank you so much for this! Love this! Thank you so much for posting it! Heike – I feel exactly the same. Constantly reading, learning and trying to be better but not sure if I’ll ever get there. As long as we love taking pictures – I guess that’s all that matters. But it is frustrating at times. This was an amazing article!!! You have inspired me!!! Although my children are grown, I especially like number 5! I can relate to that even now when I think back to the days of being a young mom. Great ideas…thanks for sharing! I’m such a believer in spreading the love. The more love I give out on other people’s recipes and photos, the more I get in return. This was great to read. I am just beginning and hoping this will develop into a second career. I have always taken tons of photos, make a family album every year, etc. Tomorrow evening I have my first official photo shoot (engagement pics) and I am so nervous and excited! I know exactly what you mean. And love the advice on showcasing other people’s work. I have always wished someone would showcase my work or have a ton of views/like, but I realized from reading this post that I should do that. I like my blog to have all my photos, but like I could link to blogs and say why and how much I liked a particular photo. Thanks again. I wholeheartedly believe in #1!!! Great article! Awesome… Thank you so much for sharing! This is one area I struggle with as a photographer: confidence. Sometime I have it, but many times I question my ability/talent. Thanks for the insight. Great advice! I especially liked your point about the uniqueness of every person in existence and what they bring to photography. No one hikes the same trail twice or sees it the exact same way. Thank you for your writing. I have been a Professional Photographer for almost 20 years now. Most of my work is on the commercial and advertising side of photography but the one thing I really enjoy is when I give myself a “Self Assignment”. I find a person and talk with them find out who they are and what they do and try to put together an environmental portrait of them. I mostly do this while traveling. I teach at my local college digital photography made easy and I can tell you that I get more out of giving than anything. Most of the time it inspires me to see someone “get it!” And in turn I get excited to go shoot headshots of boring doctors or CEO’s. I love this article!! Thank you for posting it. It’s all about having fun a creating great images. You are truly a gem. You really have beens so much help to me and my career. I just love how you sense what I am feeling and “bam” you write about it! Thank you so much for doing what you do and helping us all… YOu are a blessing to me!! Love that last paragraph, makes me want to keep practicing! I have read ( sometimes skimmed) your blog for over a year… but I have to tell you this post made such an impact in me. Your words were like an opening up of my mind … really! I went to school for photography and I still work very hard on it and I still have confidence issues.. ( I think mainly because I am older) I have continued learning and I “make” myself do things even if it’s scary… but your words “INSPIRED” me … and that doesn’t happen very often. How wonderful that you “share” someone else’s work… or “LIKE” someone’s work… I get so little of that except from my hubby … which is great, but even my own family doesn’t take me as a serious photographer and I think that adds fuel to my lack of confidence fire.. So thank you for letting me know there are people out there that really do care. How you knew to post what I needed so desperately – I really feel God intended me to read your post today… THANK YOU THANK YOU THANK YOU…. Thanks for posting this. Just what I needed to hear. I’m feeling so overwhelmed by tutorials and learning Lightroom (not to mention my camera). It seems every time I feel like I found success or created an image I love, I see someone else’s similar image that blows mine out of the water. It’s hard (for me) not to compare or become discouraged. Love this post, Brennan. I started featuring great photography by other bloggers on my site about a month ago and it’s amazing how freeing it is. I no longer compare myself but instead it helps me to remain focused in my goals. I have a long way to go but I’m determined to make the journey enjoyable. You’ve got such dedication and that just inspired me to ensure that I schedule time every single day to work on it. Thank you for this post Brennan. I build my confidence by always working on taking more pictures, which I have come to learn I don’t need the approval of others. I found that “haters” will be “haters” (I couldn’t think of a better word), and as long as I like the picture that’s all that matters. I love reading and finding new technics to try, to wow myself and others. Thank you again for some insights for me to use. this is my favorite post! thank you, perfect words and perfect timing. i go through times when i feel down about my work and this is the perfect sentiment that reaffirms that all work has value and ultimately this comes from within- you have reminded me of that. having these wonderful 5 tips in my mind now makes my day! I needed this! Thank you! I don’t know how I missed this Brennan! So inspiring, thank you for your encouraging thoughts. ❤️Love the candle quote. my husband is my biggest cheerleader. whenever I see photos of something good, I always say “boy I wish I could take photos like that”. he tells me ” you will, you’re still learning”. sometimes I think my imagination is not that great. But hopefully in time I get better. Thanks for listening. I practice by taking pics of EVERYTHING!. The mundane to the fantastic. Every day! This site is great, very encouraging. Thank you so much. Wow! What simple yet profound words of wisdom! I feel better already! Will practice more and put myself down less. Hope you don’t mind that I am not female and follow your post. You are so practical and helpful. As an aside, it is almost impossible to convey what photography means (to me) to those that are not photographically inclined. I do my best and then come to understand that they do not understand! That is Ok. Such a great post, I have only just taken baby steps into booking real life sessions, after being an avid photographer for ever. I am charging a complete pittance, but it is amazing how much I learn each time I am forced to consider what I know in order to create a sellable product. I have so much to learn, but the internet is such a wealth of knowledge, and I have spent every spare second researching and learning, and trying to practice with any family member who has not gotten insanely sick of having their photograph taken. I have found pinterest to be an absolute goldmine for ideas, tutorials, tips and ideas. People like you who are dedicated to sharing what they know and supporting others with the same passion rock my socks off. Thanks so much for your positive words, your generosity of knowledge and for helping us all to be our own unique selves. In my life I have subscribed to countless mailing lists, and they always get trashed, this is the first that I have ever waited and been excited for, so that must say something grand!! That is awesome information and keep these tips coming! I have a hard time thinking that my work is good enough, so this does help with some suggestions. :) Thanks again! What a great post! I love the “you can do it” attitude in your suggestions for gaining confidence in shooting. I have been doing a “365” project since the first of the year and can’t tell how much the practice has helped my photography skills. Plus, I love going over the photos-it really provides me with a photography journal and helps me remember what happened a few months ago, or even last week. How fast we forget! I also think your suggestions about helping and complimenting other photographers is really perfect. Thanks again, Brennan! First of all, thank you for such a great post. That was exactly what I needed to read. I’m a fine art photography student wrapping up my first semester, so I am at the beginning of my journey. But even knowing I am a beginner and still have a lot to learn it can still be discouraging. What I like to do when I’m feeling down is take a look at the positive comments I’ve received so far from my Project365. Again thanks for sharing! Its for a friend, so no pressure, just fun! I have no photography expierence, but this post just made me want to it even more! Thank you for this great post! I am glad i came across it. I have zero confidence in myself, why i don’t know. But everyone tells me my photography is incredible, but it seems i am lacking that push thats needed to pursue this possible career for myself. I feel i am a pretty accomplished photographer, but i need that push somehow someway to move my passed my slump i have been in. Do you think a 365 will help or inspire someone with my experience? Thank you, thank you, thank you! I’m just getting started after taking the plunge and deciding to go for it. Wow, it’s a scary world out there. I am seeking my first paying job but while I do, I take a ton of pictures of my daughter work to make sure I can capture the light, the subject, and edit her properly. I can relate to moving kids. She moves enough that a walk will seem slow. I never thought about really putting her to work. Thank you for that! My best friend and I got our DSLR’s around the same time, she got a Nikon – I got a Canon. I have loved having someone to share ideas and photos with, learning settings and taking classes. I think it enhances the experience of becoming a photographer. This was a wonderful article. Thank you, I needed to see this. This is a great article! Thank you. The first one made me cry. It really hit home! This is a beautiful post that anyone who picks up a camera can benefit from! I think one of the best ways to build confidence is to practice AND THEN SHARE YOUR WORK. Print your photos, hang them in your home, give them to the people you love. Hearing their kind words and seeing your work in a frame will boost your love for your craft. There is nothing that beats being able to hold a printed photo. I normally photograph my kids and landscapes but recently signed up for a photo safari where I’ll learn to shoot a sailboat regatta. I’m excited to try something new and out of my comfort zone. Thank you so much for this post…very beneficial advice! I LOVE this article!! I recently started in the photo biz and I’ve met some people who are very closed lip about what and how they do things. But you know what? For every one person who is not willing to talk, I’ve found FOUR who were so happy and excited to chat about photos! Keep pushing toward your goal and you will surround yourself with people who bring joy! Thank you! You are amazing!!! You have the best and most positive advice that I have ever heard yet!! I am new to photography, getting ready to set myself out in to the world of professional and artistic photography, and I will be reaching out to other photographers and sharing their works as well as mine. Thank you! What a wonderful article. It is a great reminder for me while I am getting back into photography. Nice post. I like the “tone” of your writing. I am also a natural light photographer. I love taking pictures of animals, espeacially birds, and portraits. I also like to use Lightroom. Besides this, I cannot live without Photo Mechanic. I like how you said, just do it. There isn’t a difference between master and beginner than practice. It’s something that really helps me. The more I practice each day, the more comfortable I feel in my own skin as a photographer. I enjoyed your article and I feel even more confident. I often question myself and no one is its worse critic than yourself. Ive never done a wedding and ive been asked to do them. I have so many ideas and so many nerves. I know I can do it but I feel im not ready. I need to keep practicing and studying so when the moment comes like you said ill be ready. Hi. This is a cool article. I’m a inspiring photographer and I love photography, but I’m quite shy when it comes to photographing people outside my family and friend circle, so these tips might just be the boost I needed, thanks! Thank you so much for this article. I am starting to pause photography after ignoring that desire for 17 years. I feel inept most times I am taking pictures. However, I still have this simmering desire to keep going to show others the beauty I see. Thank you for the uplifting words! !! I needed to hear them. Oh wow, this article is superb and very helpful. Thank you so much for sharing! This was really inspiring and couldn’t have been read at a better time in my life! 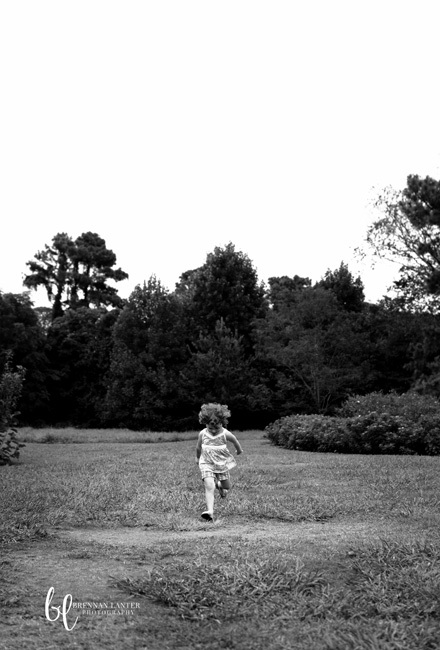 When I do a shot I really love I share it was the owner of the property if its landscape or parent if its a child. It makes me feel proud when there face lights up! Great Article, couldn’t agree more with the ‘Just get out there and shoot’ comment. 2 years ago I didn’t even know the correct term for Depth of Field, now I’m constantly teaching myself in multiple areas of photography / processing. Artistic / stock / photoshop… I’ve been learning bits about all of them to compliment my shooting style and final product desires. These are wonderful tips to help me get comfy in my photographer skin. I only started getting serious about food photography in the past year (thanks to my food blog, Dish by Dish), and i find that it’s really practice that makes a difference. Of course, reading lots of tips and advice as well, but it’s putting what I learn into action that translates into better pictures! I’m going to be redundant…Sorry for that but had to write what I feel. Thank you for your uplifting and positive words. You always have great advice and words to encourage. Thank you , thank you! I love this post! I have only recently found your blog. Lots of great information and inspiration. Thank you! I really enjoyed reading this post. I would like to say thank you for this article. I found these tips invaluable. Thanks for the inspiration much appreciated. Love the post it me immensely. LOVE that you practice on your 3 kids! What a way to use your surroundings to prepare you for the future. I’m sure one day you’ll capture a bride’s special moment, like you have captured your little ones’ countless times. I just found your blog today, because I was looking for maternity photography inspiration. I just love your tips and am very excited to get future tips. Thanks so much for your kind words! Welcome! THIS ARTICLE DEFINETLY HELPED ME, I JUST FIVE MINUTES BEFORE FINDING IT TOLD A FRIEND OF MINES I WOULD NOT FEEL COMFORTABLE SHOOTING HER BIRTHDAY PARTY. NOW, I JUST MIGHT PUSH MYSELF! THANKS FOR THE ENCOURAGEMENT. Thank you for this motivating article – love the quotes – they are spot on! Very useful tips; I will try to apply tem in my photography skills. Thank you for sharing and as you said “A candle loses nothing by lighting another candle.” it has been wonderfull for me. Personally I didn’t go to school to study photography,but it was an interest that developed when I first owned my first film camera still in my 6th grade. The journey has been steady,owning my first DSLR camera and now getting to interact and capture shots in places that I would never have dreamt of,thank you for that article.